Packing sends many cruisers into a panic. And no wonder: what with multiple destinations, variable weather and formal nights on board, you might be changing outfits three or four times a day. So how on earth can you fit all that into a tiny suitcase? Well, although some items are non-negotiable – medication, adapter, phone charger, sensible shoes for exploring – the rest is up to you. And, as the most experienced cruisers will tell you, you don’t need as much as you think. We’ve spoken to the experts to see what they always have in their suitcase – and what they leave at home. 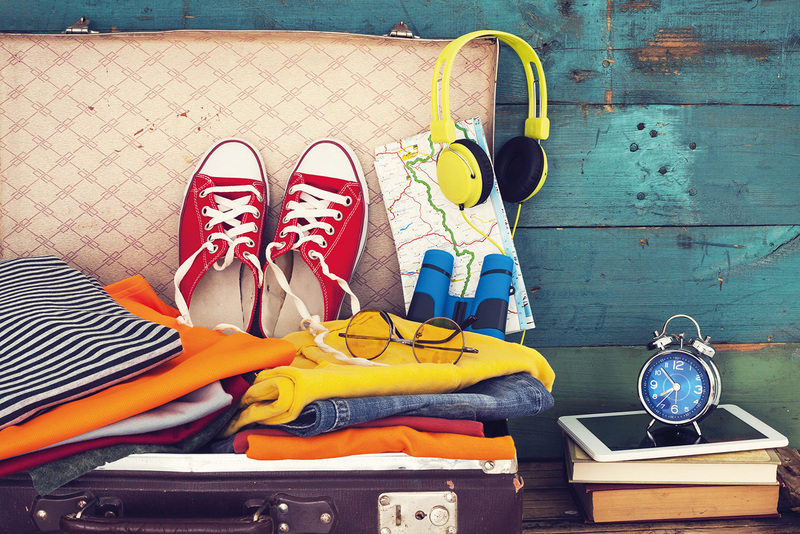 Carry your first-day essentials with you in your hand luggage, advises stylist Lauren Jobling. ‘Embarkation day is busy and it may take a while for luggage to reach your stateroom. 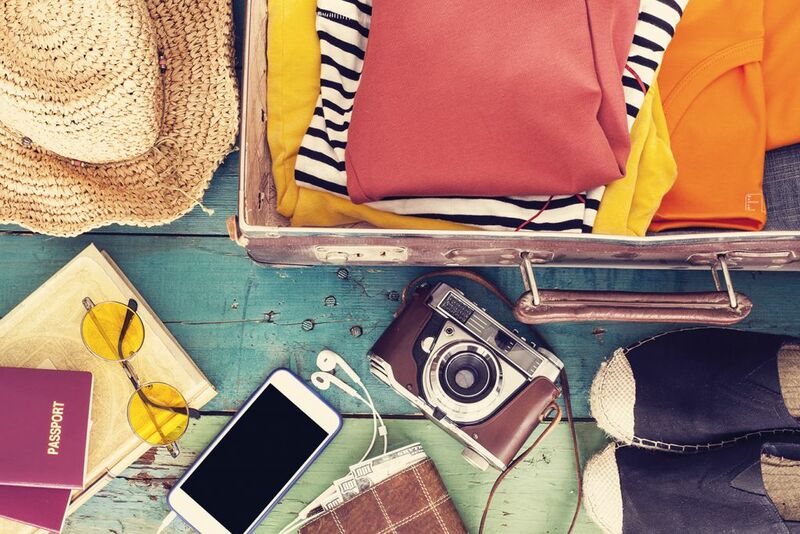 But if you carry your swimwear, sunglasses, sun cream, medication and a change of clothes, you’ll have extra space in your case and you’ll be ready to start your holiday straight away. Whatever the dress code on your cruise, cover-ups are essential. ‘When people pack for warmer destinations they often think they won’t need an extra layer,’ says Lauren. Image consultant Jacqui Cooper advises choosing outfits that can multi-task. ‘Take a maxi dress and glam it up with some shiny jewellery and heels in the evening,’ she says. If you’re sharing a cabin, your shipmate will thank you for not putting the light on every time you go to the bathroom at night. Pack in three layers, advises Sue Hall, a regular traveller and blogger for Samuel Windsor menswear. ‘A combination of rolling and folding is best,’ she says. ‘Put all the odd-shaped, awkward things, such as shoes, chargers and toiletries on the bottom layer. ‘Then fill in all the gaps with rolled-up socks and underwear to make it as level as possible. The next layer is anything you can roll – T-shirts, pyjamas, jumpers and even some trousers. A shoe organiser is great for hanging over cabin doors and it can hold more than just footwear, says Gary Bembridge, author of The Cruise Traveller’s Handbook. 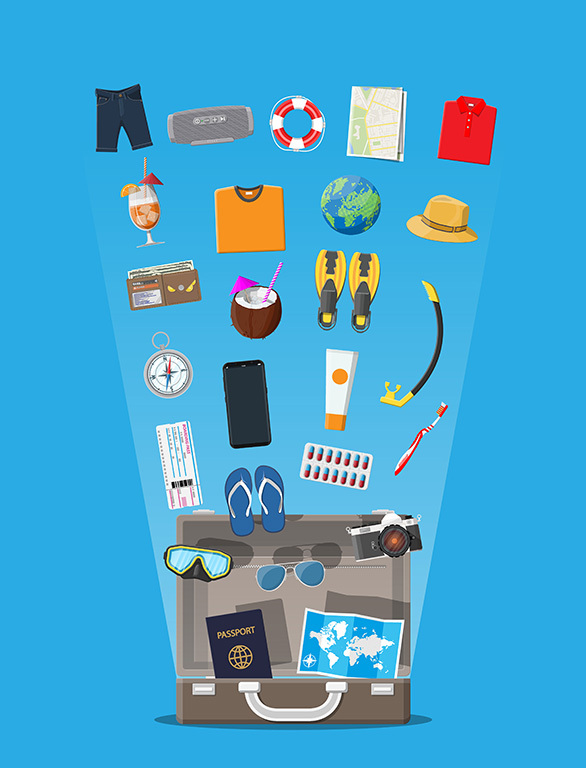 ‘Storage space can be an issue in smaller cabins,’ he says, ‘so use a shoe organiser for all your everyday things like sun cream, sunglasses, cruise cards and water bottles. Then they’re always to hand but not in your way. Every year, £150 million-worth of beauty products are confiscated at UK airports because they’re too big to take through security. Victoria Green, founder of the eponymous beauty-bag company, suggests using three-in-one bags that detach, so you carry the clear pouch through security and pack the rest in your case. Formal nights not your style? Still take one glam outfit, says Lauren Jobling. ‘You might win a competition to have dinner with the Captain, or you might arrive at a beautiful destination and spontaneously decide to go out for a special meal.